Chantilly cream, or crème chantilly as it is call in French, is simply sweetened whipped cream flavored with vanilla or brandy. The amount of sugar added is up to you, depending on how sweet you like your desserts. Always use heavy cream (35%) and whisk until peaks form. The volume of the cream will almost double in size as a lot of air is trapped in the cream. Whisk cream until peas form, otherwise if it is whipped more than necessary it will turn into butter! 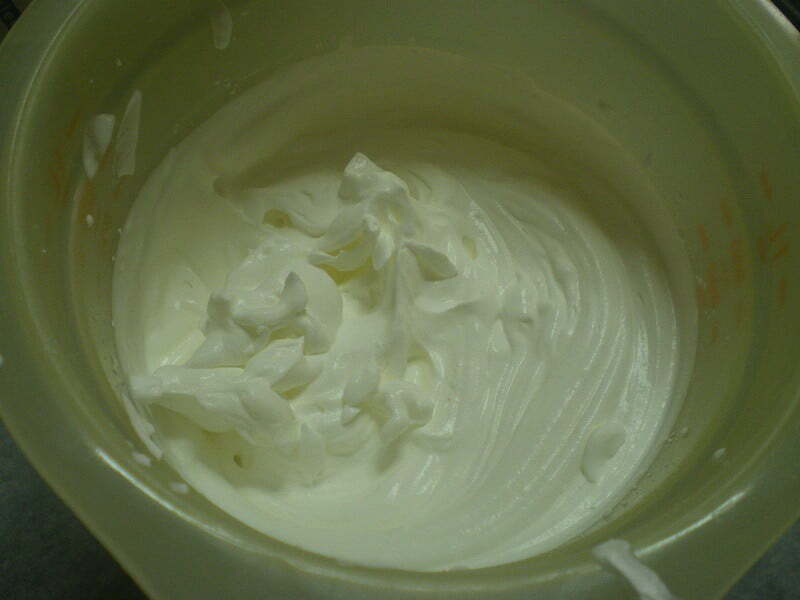 Use Chantilly cream to make ice cream, decorate your cakes, by using piping bags or use it in many other desserts. Whip the cream in a mixer together with icing sugar and vanilla until stiff. Taste and adjust sugar if you like it sweeter.